Altaro VM Backup makes it easy and affordable to protect your VMware environment. 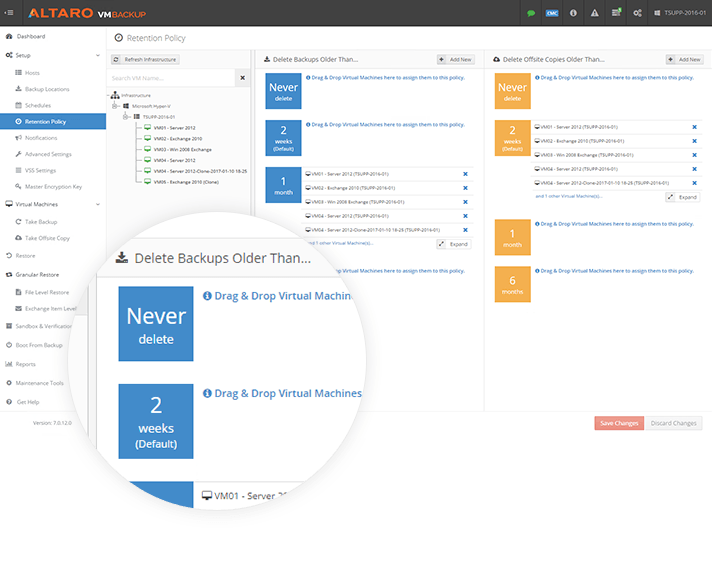 With an intuitive design, full control over backup tasks across all hosts and outstanding support, Altaro VM Backup is your logical choice for VMware virtual machine (VM) backups. 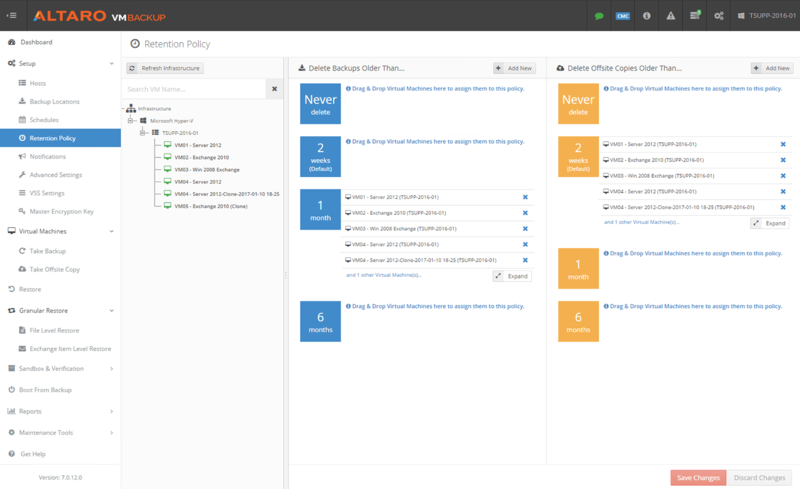 A backup and replication solution for VMware requires flexibility and power to give you confidence in your backup strategy. You need to be able to replicate data to an offsite location or a removable drive, to be able to restore individual files or emails, to restore from different points in time, to verify backup integrity, etc. downtime. 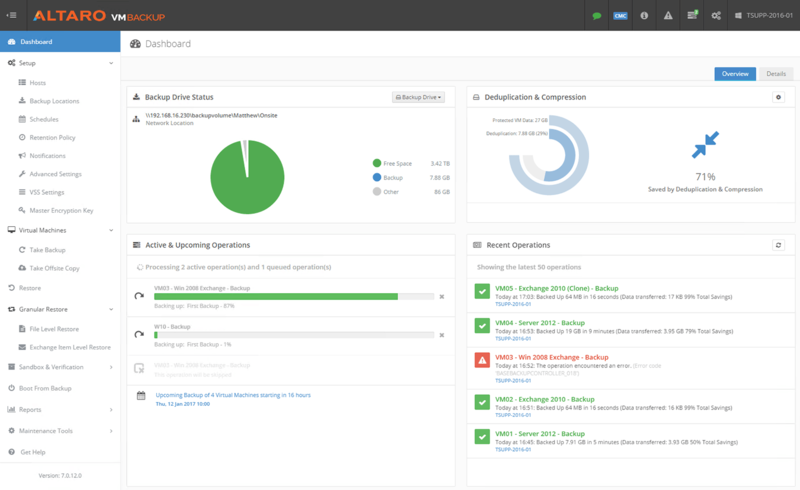 Augmented Inline Deduplication – Best deduplication in the industry! Heavily reduce your storage space requirements with Augmented Inline Deduplication! Altaro VM Backup creates the smallest backup size when compared to other vendors. All backup jobs optionally run Augmented Inline Deduplication and post-processing is never used so you don’t need to group similar VMs together for deduplication to run efficiently. In the process, having less data to transfer improves backup and restore speed, saving you storage space and time! 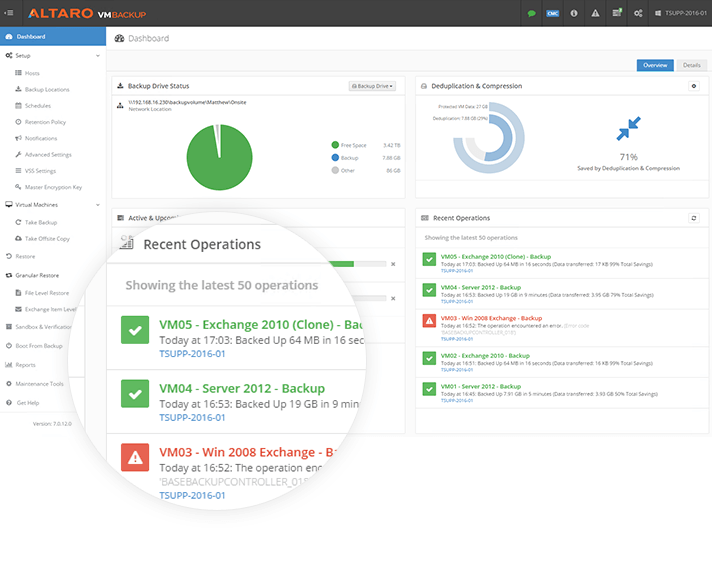 WAN-Optimized Replication - VMs can be continually replicated to a remote site, significantly improving the Recovery Time Objective (RTO). Switch from running daily backups to backing up as frequently as every 5 minutes through a Continuous Data Protection (CDP) model, significantly improving the Recovery Point Objective (RPO).